and has a sturdy green cloth cover with a ribbon marker. has a sturdy green cloth cover with a ribbon marker. 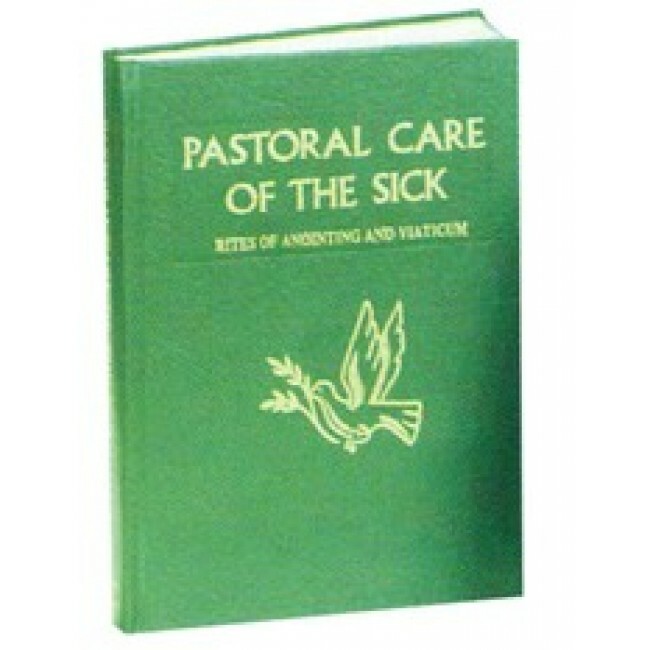 This Official version of the "Rite of Anointing of the Sick" includes appropriate prayers and readings to comfort the sick. Indispensable for those entrusted with this Ministry including Priests, Deacons and Lay Ministers. The green cloth cover can be gold-stamped. Please call for gold-stamping.